Modern society has imposed technology as a necessity, and mobile phones are seemingly an inevitable part of our everyday life. Mobile phones make our communication extremely easy, but have you ever thought of the possible risks of their use for our health? The Weizmann Institute of Science in Israel conducted a study, which was published in the Biochemical journal, that found that certain cell phones or mobile devices exposing us to dangerous levels of electromagnetic radiation. 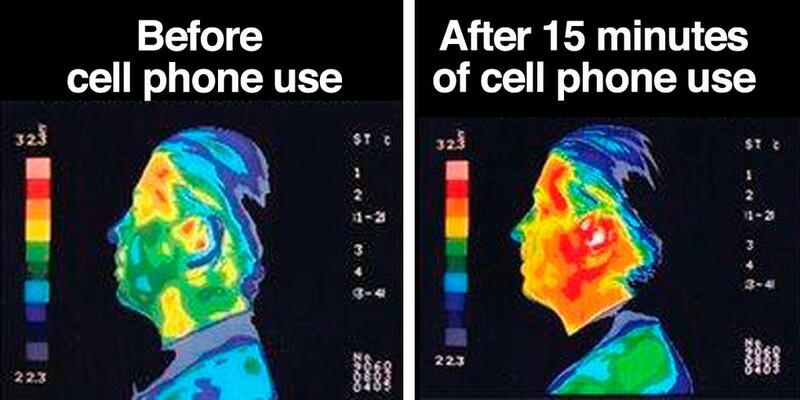 This study showed that a single use of certain cell phones for just 15 minutes may stimulate trigger brain cell changes linked to cancerous cell division. Therefore, CNET exposed the five phones with the highest radiation. The FCC instructs that all mobile phones should be tested for their specific absorption rate (SAR) – the rate of which the body absorbs the radiation from the phone. The highest allowed levels by the FCC is 1.6 watts/kg of flesh.